Great for protecting floors from scratches and damage, this 4-piece Furniture Sliders Set features hexagon-shaped plastic and foam sliders that work on carpet and tiles and make moving heavy objects easy. 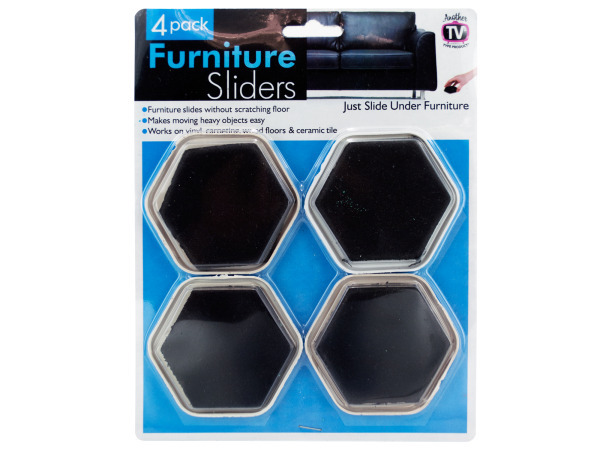 Each slider measures approximately 3.35" x 3". Comes packaged in a blister pack.